Do plenty of research and fight for a good deal! Buying a new car has become a larger investment than it ever has been before because of their rising prices, and you are trying to find a way to minimize your costs while still being able to get where you need to go. Due to the expense, an increasing number of people are turning to used cars as a more economical option. So, how do you find one that fits into your budget and can do everything you want and need? Outline your budget. You can’t know what kind of car you’re looking for until you know how much you’ll be able to afford. Look at your budget, including current and future expenses, and decide how much you can realistically pay (in a lump sum or monthly) for a vehicle. Start saving for a down payment. Consider the cost of financing. Depending on your preferences, you may choose to finance or pay in full. If you are financing, remember that you’ll be paying for interest, too. Always allot money for tax, title and license, as well. Do your research. Now that you know how much money you are able to put aside for a car, you can narrow your selection down to models in your price range. Look at professional and consumer reviews and safety ratings, too. Use sites like Edmunds, Kelly Blue Book or Consumer Reports to get accurate information. Test drive it. Believe it or not, some people buy cars without ever test driving it. Make sure you get in the car and drive it around to get a good idea of how it handles, if everything is working and if there are any potential mechanical problems with the car. Negotiate the price of the car. Take into consideration how old the car is, what make and model it is and how much mileage it has. Insist on a fair price that you are comfortable with. Be firm in your decisions. Don’t let someone pressure you into making a decision you aren’t comfortable with. When you decide on a car and a price, be firm. If you don’t think you’ll be comfortable enough to make a decision by yourself, bring someone along who is familiar with cars to help. 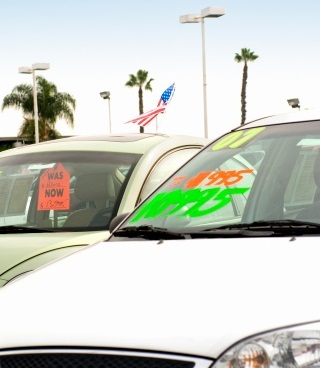 After buying a used car, bring it in to MVD Express to get it titled in your name and registered. We’ll get you in, done and on your way in no time!